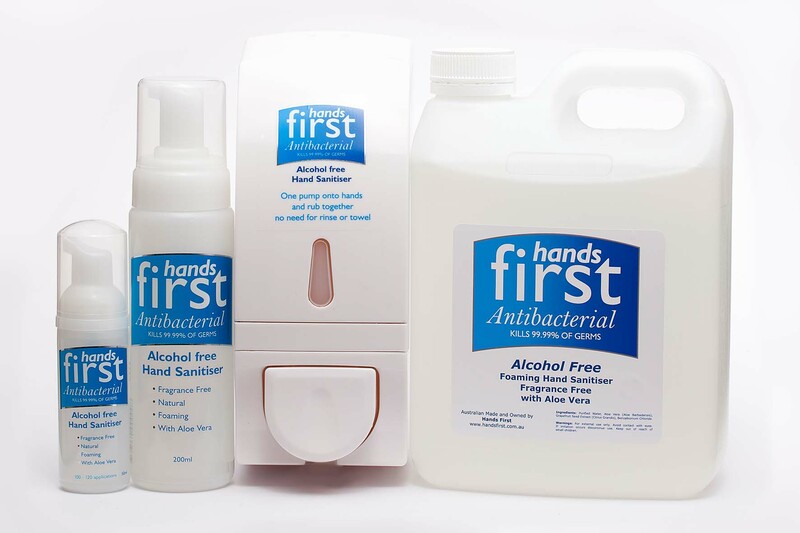 An Antibacterial, Alcohol-Free Instant Hand Sanitiser. It is a quick, efficient and easy way to sanitise your hands without the need for soap, water or towels. 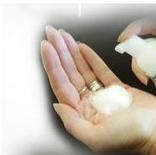 Simply apply one pump to your hands and rub together until dry (10 seconds). Once you use Hands First, you won’t want to use anything else! Contact us for a supplier near you or buy direct. All containers are refillable, saving money & the environment. "As an OH&S Officer, part of my function is to manage all chemicals on site. To simplify risk assessments, I have been constantly sourcing effective materials that still preform the tasks we need of it. 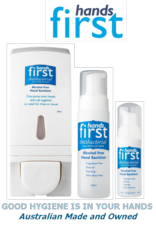 Hands First not only provided me with a hand sanitiser that fit my criteria, but when I introduced it, the staff preferred to use it as it left their hands clean and smooth without the skin cracking. I would recommend it to anyone who has a need to protect their hands." from Brian Waite, OH&S Officer (SIA Member) SANITARIUM HEALTH FOOD COMPANY.